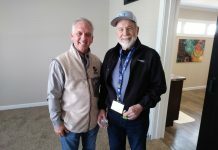 Throngs of manufactured housing industry professionals enjoyed the sunshine and networking as they toured homes and looked for the latest product during The 2019 Tunica Show in northwest Mississippi. From left, Mick Barker and Lynn Hoppe of New Vision Homes. 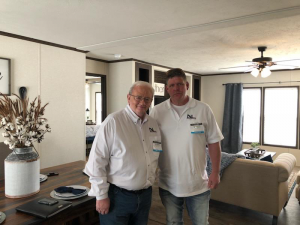 New Vision Homes is a new manufacturer run by President Mick Barker and owner Lynn Hoppe, who came to the home building side from the retail side. 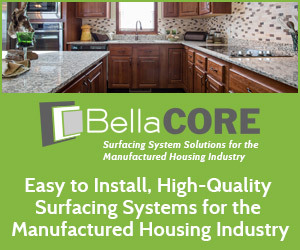 The company has been making homes for a little more than a year. Barker is a former president of Champion Homes and worked in operations with Legacy Homes. 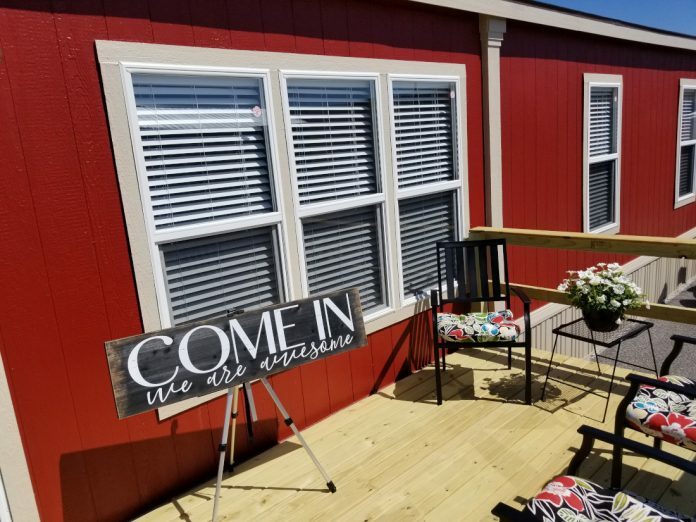 The company is based in Ada, Okla., and has a factory in Madill, Okla., where they’re turning out three floors a day of workforce housing , valued in total at about $100,000. A second facility, located in Breckenridge, Texas, also is churning out about $100,000 worth of product each day. However, that plant is making a single floor per day. New Vision also is looking for a third facility, perhaps another in Texas or in the southeast. 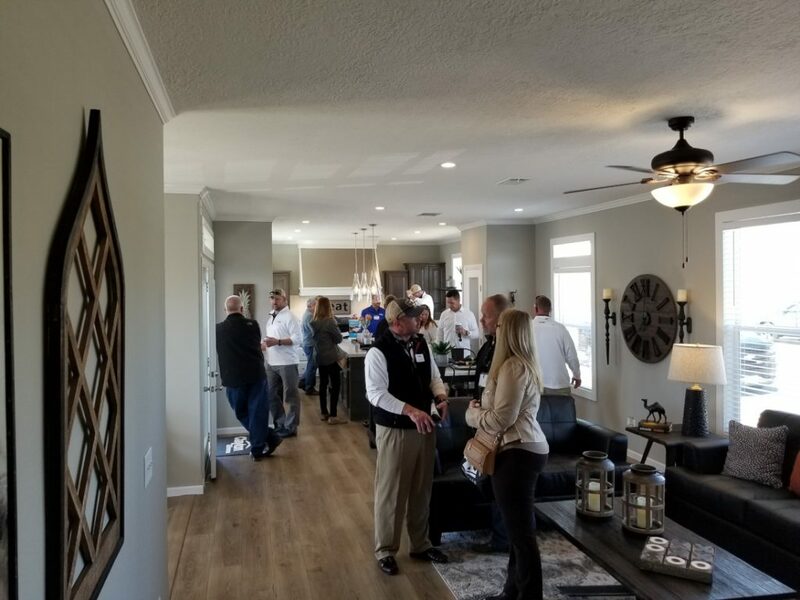 Cavalier Home Builders, a Clayton Homes brand, brought out an 1,800-square-foot home that incorporates many of its more popular farmhouse features in a larger home. 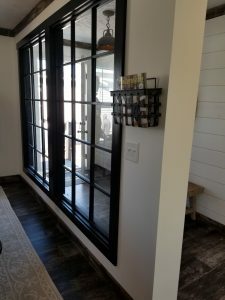 Window wall foyer in a new Cavalier home. Hollingsworth said the lighter colors, large windows, shiplap wood board, barn doors and farmhouse sink are new for Cavalier. The Laney from Clayton Homes. 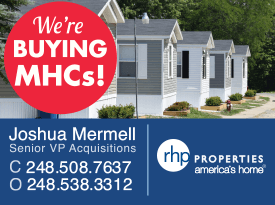 2019 Tunica Show provides the opportunity to network with more than 2,100 manufactured housing industry professionals from across the country. Professionals attending The Tunica Show represent every part of the industry nationwide. 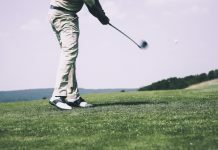 However, Tunica provides a particular emphasis on connecting attendees with professional builders and retailers who operate in southeast. The Tunica Show is held at the Hollywood Hotel and Resorts Casino. It draws industry professionals representing 500 companies. 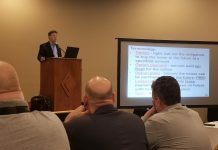 Additionally, the show attracts manufactured home community owners and managers, retailers, suppliers and builder/developers, the Tunica Show is the most significant trade event in the region. Representatives from 24 manufacturers have made themselves available to answer questions about their homes in Tunica. 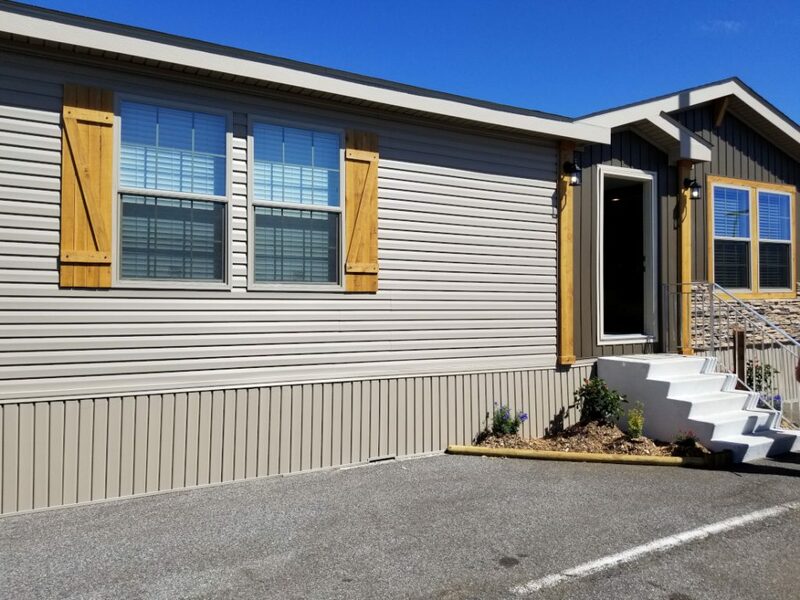 They are joined by industry professionals who work in manufactured home transport and installation, building materials, financing and professional services. 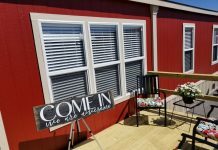 Retailers and other home buyers shop The Lulamae and other homes at The Tunica Show. Kevin Satterthwaite operates Pine Ridge Homes in Vandalia, Ill.
Natalie Wiley runs Wiley Home Center in Sandersville, Ga. In addition, she owns and operates three small communities in Georgia. Wiley was at The Tunica Show to look for a high-end product and a middle offering for her home center. “I think I found what I’m looking for,” she said. 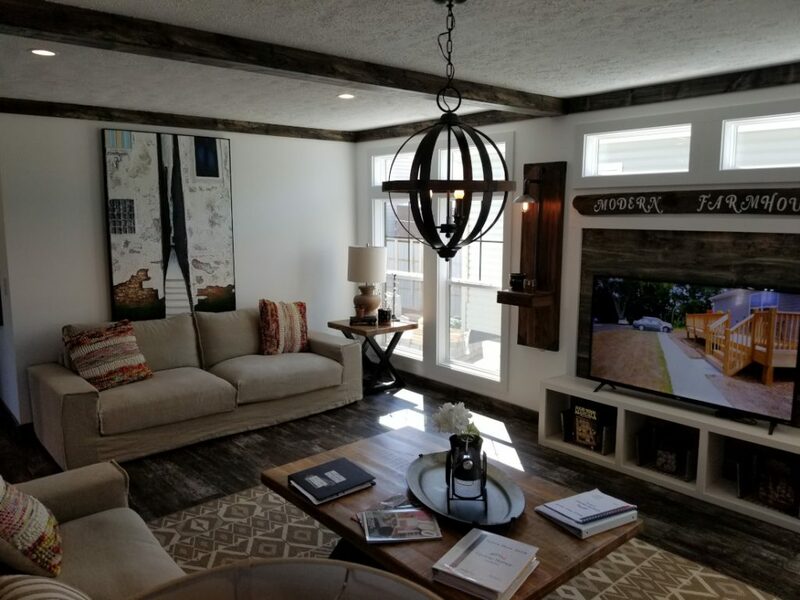 “I was impressed with Champion, and the Deer Valley homes are really pretty. Southern Energy has a really good midline product. 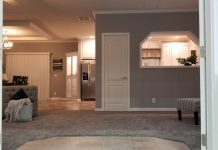 A new home from Platinum Home Builders. Todd Evans of Platinum Homes said traffic at the show has been great and the new models have been well received. “The sun is out and everyone’s in a good mood,” he said. “That certainly makes it easier for people to get out and look at homes. Patrick Revere is content director for MHVillage and executive editor for its blogs MHVillager for consumers and MHInsider for professionals, as well as for the MHInsider bi-monthly print magazine . His background is in print news, language and communication. 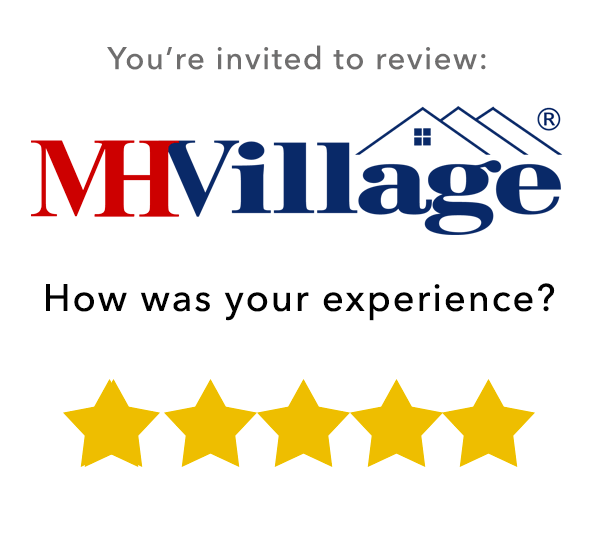 Copyright © 2017-2019 MHVillage.com. All Rights Reserved.